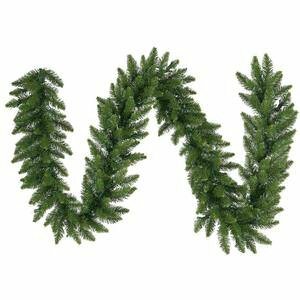 50' x 14" Unlit Camdon Fir Garland with 1470 Tapered PVC Tips. Metal Hinge Branch Construction. Includes Metal Stand.